In physics we sometimes measure angles (q) in radians (rad). 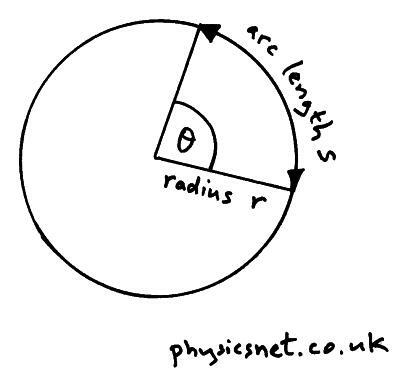 To find an angle in radians we divide the arc length (s) by the radius (r). The key thing for us to remember is that once round a full circle is 2p radians.